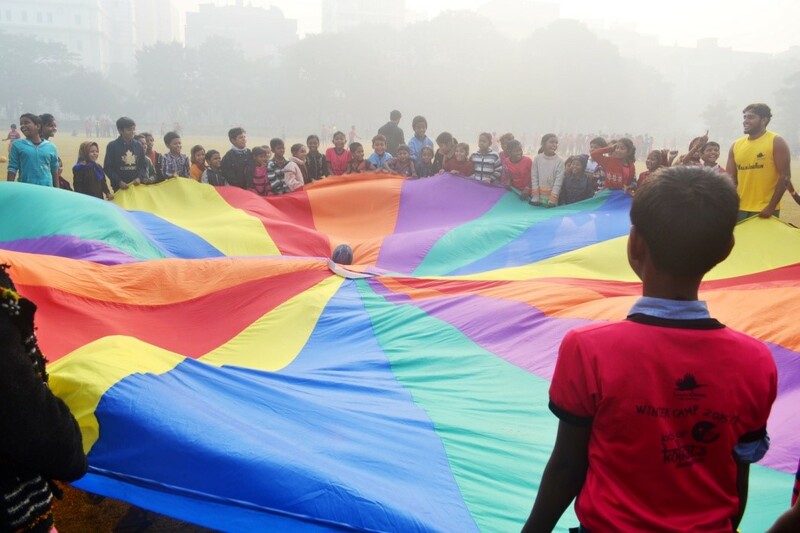 On 2 January 2016 the Jungle Crows completed its mammoth Winter Camp in Kolkata and what an amazing experience it was: an average of 800+ children each day from 25 different communities across Kolkata. 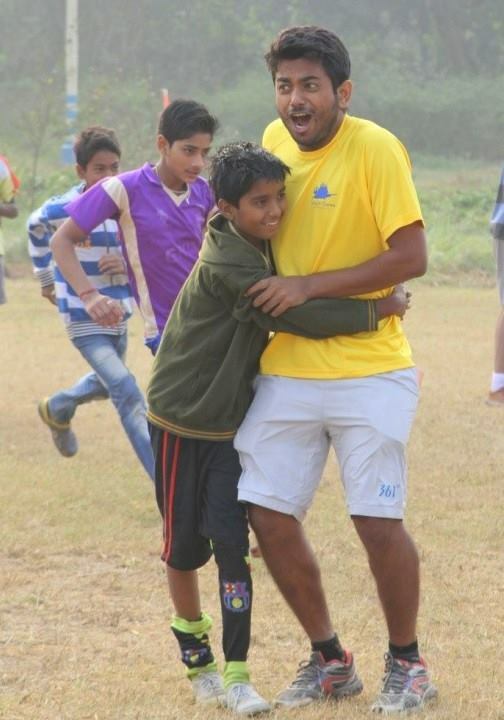 The Camp required a massive effort from many, but the absolute focus of activity were our Khelo Coaches. They had to train the volunteers – more than 80 of them, ensure all the children traveled safely to and from the camp, keep the energy levels up with fun and engaging activities, ensure every child got involved and felt a part of the camp, feed everyone – in a nutshell their job was to make the whole thing click and be excellent. And what a superb job they did. Here they share some of their thoughts and reflections. I felt very proud with our well organised Winter Camp this year .This year we were thinking that about 500 children might come, but as we started the camp, attendance went to more than 800. 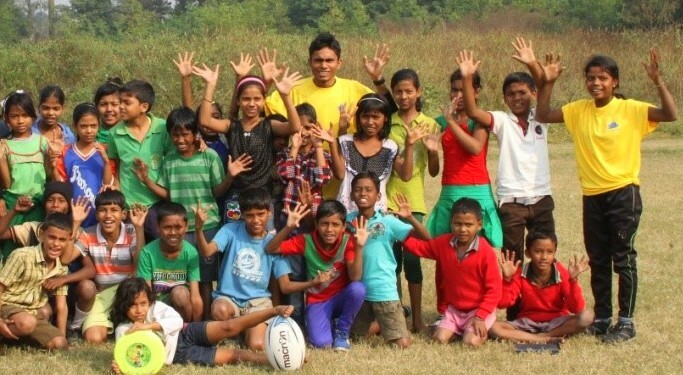 That’s the great achievement for the coaches involved with Khelo Rugby .This was the first time we’ve managed to get that many children on our Crow Field. We split the children in age group of under 10 ,14 ,19 . I enjoyed a lot in this camp because in the very cold morning, I managed to keep the children busy with my moves and my jumping exercises. The idea was to make them warm and we did it every day before the classic bull dog – a very famous game of ours which we do in every winter camp. I learned a lot from this winter camp. I got the responsibility to train the young leaders and help them be good coaches, so they can deliver their coaching skills to under 10 children. It was very tough to manage the small children. It was our hard work that we successfully managed the small children from beginning to end of camp. In the end, I asked my team what they had learned from this camp, they said how to make the children busy with different activities and how to manage the number of children! All the coaches booked the mini van for each location to take the children to the field. By these good arrangements of transport, we had seen many more girls coming to winter camp. Our guests showed a great involvement in all the activities .They were participating in fun games, managing the children, distributing foods etc. One of them came to me and said “You guys were doing an excellent job. Well done guys, keep it up!”. 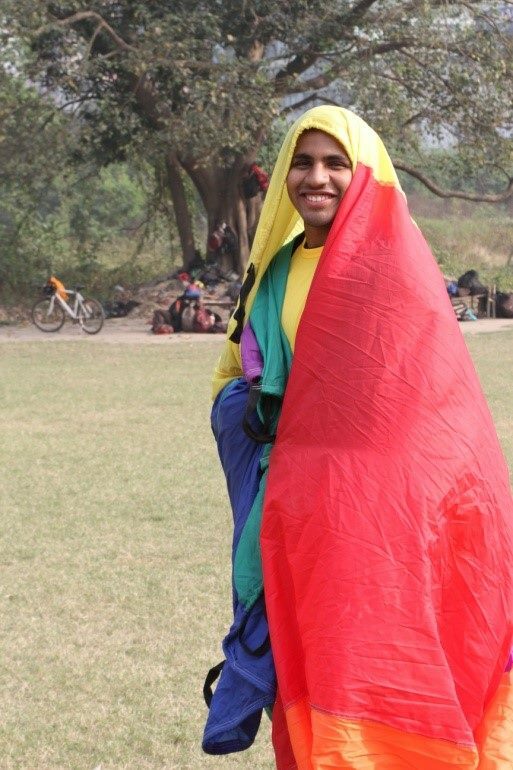 Thanks to Mr. Shaun who personally arranged the foods for 11 days of winter camp and thanks to every guest who showed their commitment to wake up in the morning to come to the field to have fun with children…..
We did an excellent job by making PLAY word with the children. The idea is that we want make this year a Year of Play. This was the main motive this year to give every a chance of play. All the volunteers had done great job and shown their full effort to make the winter camp successful. 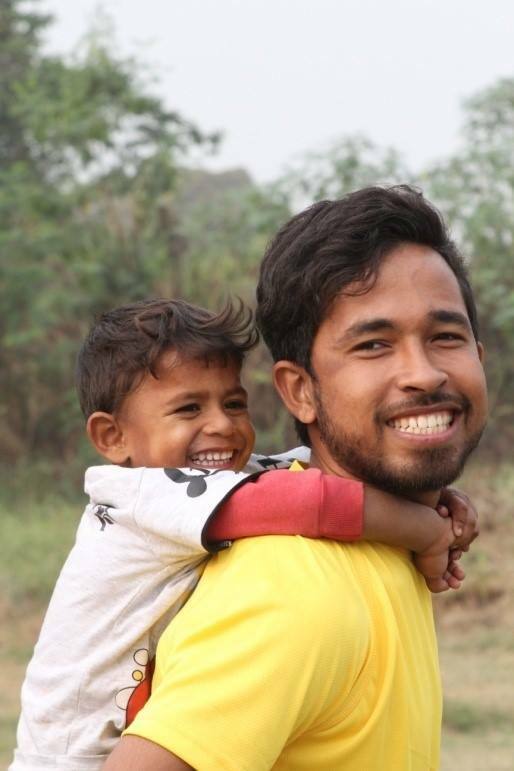 My best experiences were getting great positive feedback from our guests, getting Top Star certificate by Jungle Crows Foundation for the Camp and when the different groups of children came to me and asked me to go to their group to coach them! 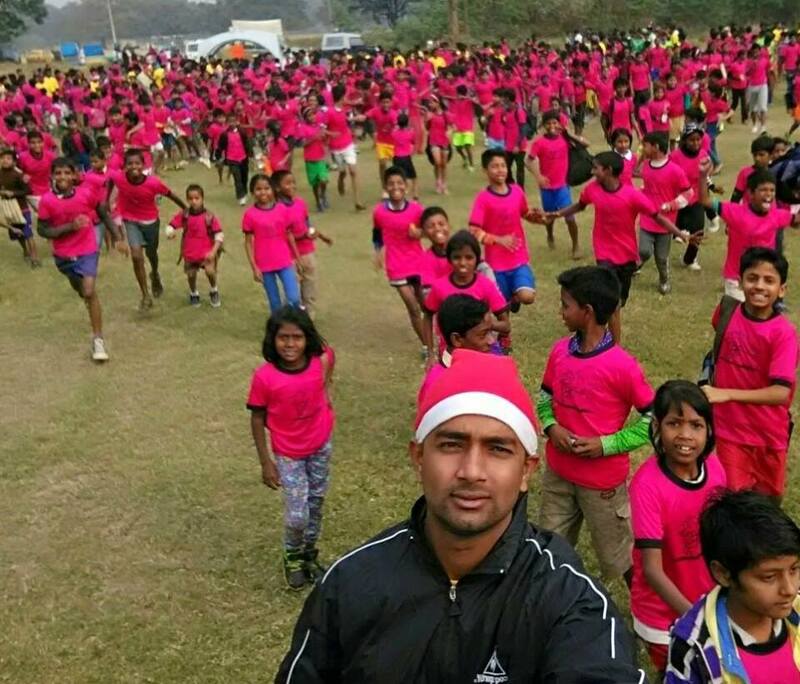 This was my 2nd winter camp with Jungle Crows as a Coach but this time I was the main leader in my group to manage all the children from different communities which was very tough. On the first day of winter camp, I was quite nervous about how to bring all the children from different location and make them play together but me and my team of young leaders managed that easily. I also went to Siliguri for my first winter camp there. It was very challenging for me as we had to make all the arrangements in the cold. I have to say that doing coaching in Siliguri was very easy compared to coaching here in Kolkata, because the children there were very sincere but here children can be very naughty. So from here I learned to handle the naughty children..
My best moment was in Siliguri where we had to take the food in a big pan from one village to another by walking. And teaching theme based fun games to the children also made me happy because I am teaching something to them which is based on their lifestyle. One such theme was Safe Drinking Water and we managed to conduct many games on this theme. 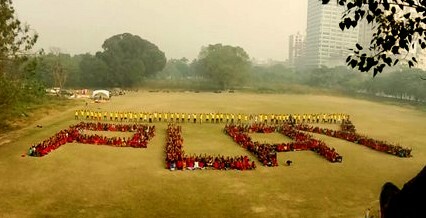 This time the Kolkata’s winter camp impressed me a lot, especially seeing the involvement of the guests. I know it’s very hard to wake up in the morning and coming to the field but I guess enjoying with the children made it easy. We conduct the Winter Camp every year but this year it was special because we had more children than the previous years. The number used to reach so much that sometimes it became tough to handle but we managed alright in the end. Personally for me, it was a tough experience to be put in charge of a large group of Under 10 children because I had to constantly think of new games to keep them engaged. I think the breakfast was great everyday and I think it made the overall experience good for all the children participating. I think this was the reason that more and more children were participating each day! I heard it from the many of the children that they wished that the camp was of more days and that was very encouraging to hear. We can do better next year by involving more coaches and more children, Personally, I love the fact that before the camp, just about 100 odd children knew me and now, almost a thousand children got to know me! For me, the positive thing was we had so many more children from the community because we all worked hard towards reaching our target. I was very happy about my KPT colony where we managed to include about 180 children from all the communities in the locality. The children were very cheeky and naughty but they were listening to us all in the end. The important thing was that we planned everything well in advance and that is why, we succeeded. The last Winter Camp was fun as well but in 2016 Winter Camp was very exciting, just to see us being crowded by children and coaches each morning. I was very content as I got to talk and interact with many people this year. The most challenging thing for me was to manage the really naughty children and the crying children. For me, the best moment was when I finally learnt how to make the crying children smile. The children enjoyed a lot because we were having a lot of games together and when, we saw their smile in the end, we knew that they all enjoyed a lot. We can do the camp even better by working harder and not wasting any time. We need better planning for our sessions so that the children can develop in their lives. Winter Camp 2015-16 was a great success looking at the number of children that attended the 11 days camp compared to the previous ones. Personally I think the children enjoyed the 11 days they spent at the Maidan with those amazing young coaches who sacrificed their time in helping the children understand the game of rugby and having a fair idea of what rugby is all about. Waking up early in the cold mornings and making their way to the field either by truck, bus, cycle or by foot, the children loved each and every session they attended. Coaching the U19s came with some challenges as well, with communication on top of the list. 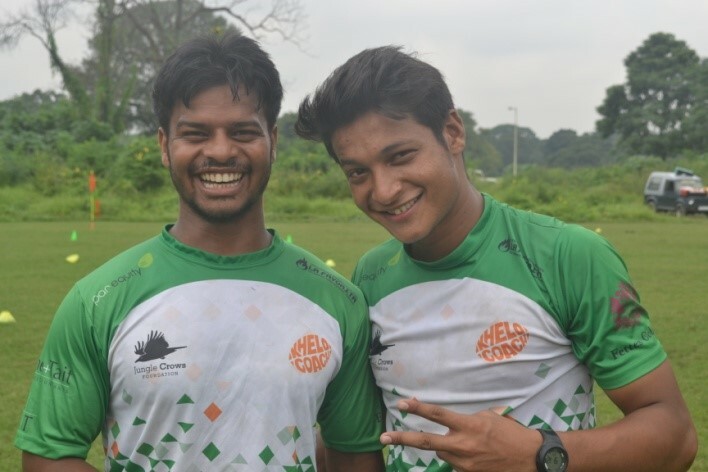 Some boys have difficulty in understanding English but with the help of the senior coaches in the group (Monu, Adash & Muna), who are able to help the boys understand using the local language. Also majority of the boys came from total football and cricket background having no idea what rugby is. Within the 11 days, they showed that they had learnt so many new things and enjoyed the tournament on the last day of the winter camp. Discipline was not a big issue since it was overcome by conducting fitness every time the boys misbehaved! The coaches and the organizers also did well with looking into the health and safety of the children from leaving their homes in the morning, travelling and reaching the ground, and their way back home after the camp. The effort shown by the coaches dealing with more than 50-60 children in each groups, with some groups having a maximum number of 80 children, was super to see. Since its my first winter camp, I enjoyed every single day with the lovely children at the Maidan, travelling with the children in the truck every morning and then dealing with my group of boys and having a taste a what’s its like to be a coach. Generally the 2015-16 winter camp was a huge success, credits to the coaches and the organizers for making it possible and hoping the coming winter camps to keep on getting bigger and bigger. Involving more young coaches and coming up with more and more fun games for children and also keeping each and every children busy within that 2-3 hours of camp so that the children don’t get bored can get even better. All in all there’s no low point in this Winter Camp. 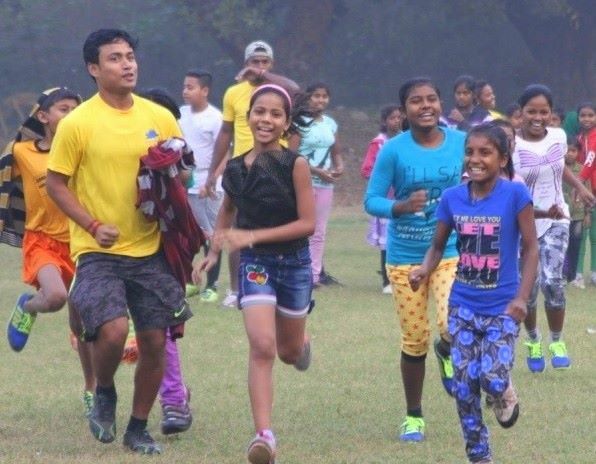 I have been a part of the Jungle Crows Foundation for many years and I have learnt a lot by organizing and managing the children in each events. I started out as a small child participating and now, I am given the chance as the coach put in charge not just of teaching the game but also arranging for the children from my community each morning. This year, as a Young Leader, in charge of a community, one of the big positives was the transportation arrangements which ensured that all the children had a safe mode of transport to and fro from their homes. For me personally, it was a good experience to train the boys this time around and also to be featured, in a newspaper article. These are small steps and I hope that I can use the skills and the support to achieve bigger things in life. This was my first camp with the Jungle Crows Foundation which I really enjoyed a lot. Personally it was a big shock for me to be given in charge of a large group of naughty Under-10 children which I had never done before! But in the end, it was a really good experience for me and I learnt a lot of things that are going to help me a lot in future. Now I am quite confident of dealing with a big group of children, and the special thing for me by this camp I got to know all the other coaches well. I would like to thank our team and Paul Uncle for giving me this splendid opportunity. To be involved with the Aripota community and engage the children from there for the first time was the best experience as I had to personally go and bring them each day. Personally I enjoyed this Winter Camp much more than all the previous Winter Camp as the number of children was much more this time around. The transport plan was well organized this year. My best and nost challenging experience was to take all the community children by truck this year as I had to be very alert that all of them are safe. The best moment for me was to see all the coaches contribute to cleaning the Maidan before we started play one day after it had been made into a dumping ground in the political rally the previous day. Every morning as we warmed up the children through Bull Dog game, I could see that all the children were very excited to play and to see those hundreds of smiling faces was a great. 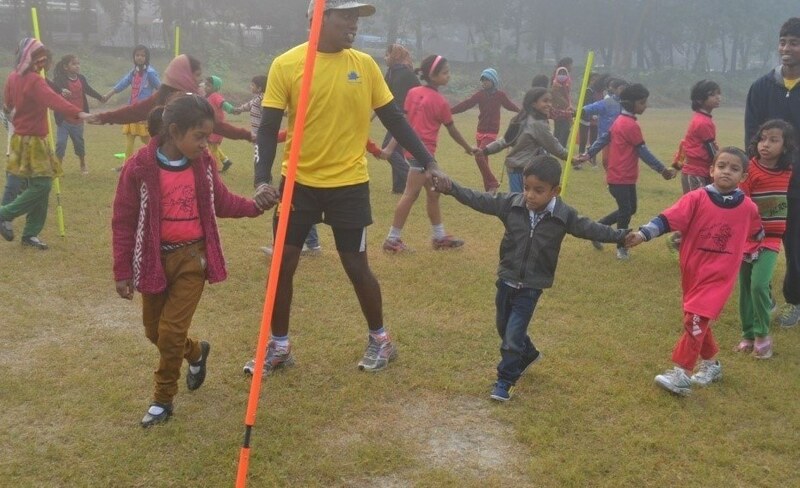 This Winter Camp, all the children enjoyed a lot because there were so many of them and had a good time with coaches. Each and every volunteer did a very good job , I noticed that they did not behave as coaches but more like a loving brother and sister. It was amazing to see the number of children who turned out at the Maidan for the Winter Camp, even better to see that the number kept increasing each day! It was the transport arrangements that was the best thing that we managed to do this Winter Camp. For me as the Co-ordinator of the Under-14, it was nice to see many young coaches do quite well despite the fact that they all were catering to more children than they were expecting. Great that we saw so many girls participating this year, another record that we managed to set. 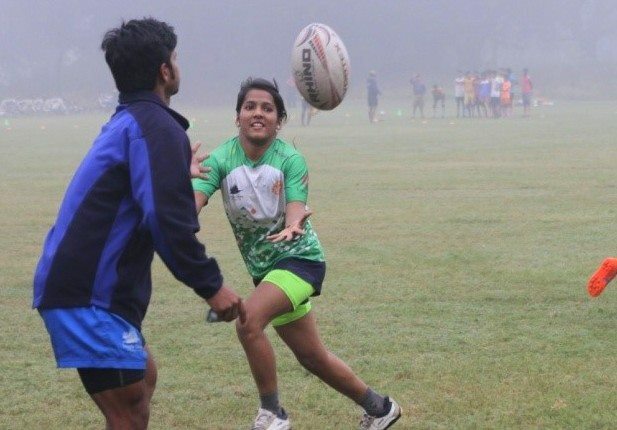 They were kept well engaged by the coaches in a variety of rugby skills and fun games and surely was a new experience for them. I think one skill that everybody managed to learn was how to manage situations so that they don’t go out of control. I would like to personally thank all the members of the Jungle Crows Foundation for making the Winter Camp very successful. This year, the Winter Camp was fantastic especially because about 25 communities were involved in it. This involvement was much larger than all the previous years and I think all the children who participated had a great time. I saw that many of them managed to make many new friendships. 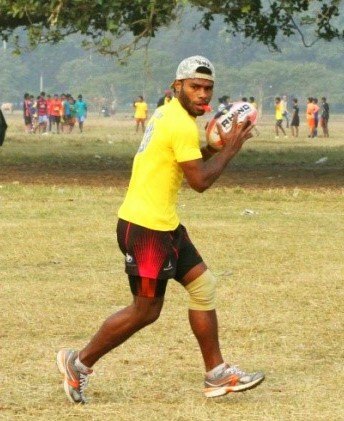 For me, I was put in charge of the U-19 boys, and I think all the groups did a good job in giving sound rugby training to both the old and new boys. Personally there were two highlights of the camp that made the Winter Camp very memorable. First one was the display of PLAY on the playfield on the 1st of January which was amazing as we managed to make the formation by organizing about 850 children on the field. The second one was the U-19 tournament on the last day which was great as many of the boys teams played really well and made the coaches proud. This year, the Winter Camp was special not just because of good planning, the numbers, the breakfast, the transportation but also because all the Community Coaches got new challenges. This year, my job was to visit to oversee the work of all the junior coaches and help them out when they were finding it difficult to handle the situation. I enjoyed this role and also was good to see many young coaches perform well in their first time as coaches. Most of the children were very happy and enjoyed this camp a lot. It was also great fun to climb the tree to take the picture of the PLAY formation that we made on the field on the first of March! I was part of the organising team this Winter Camp from the very beginning and frankly, I did not expect the turn-out that we had. Every day I felt more and more proud of the Jungle Crows Foundation. I am a part of the Jungle Crows from 2008 where I joined as a small boy and to see the number of children participating this year, I really felt that the organization was grown. I felt good that all the children received good breakfast, kit and many gifts even though there were more children participating each day then we expected. Paul sir threw a success party for all of us a day after the Camp, which means that it was a very good success! I have been involved with the Jungle Crows Foundation for more than 10 years and I can safely say that this was by far, the most amazing Camp organized. Infact, it was one of the best events that I was a part of. It was great to see how we all came together to make solid plans for the Winter Camp, and also work tirelessly to implement the plans. I witnessed some dedicated effort by everybody, starting from our internal team, our volunteer coaches, to supporters from outside. The transportation and breakfast arrangements were a highlight of the Camp for me, something that contributed immensely to the success of the camp. The children had a very good time and I think maximum care was taken to ensure that we all did something different this year and did it well. Perhaps some of the coaches could have done slightly better with their planning but all in all, it was a cherish worthy experience for me.